The very first luxury icebreaking cruise vessel with LNG propulsion. 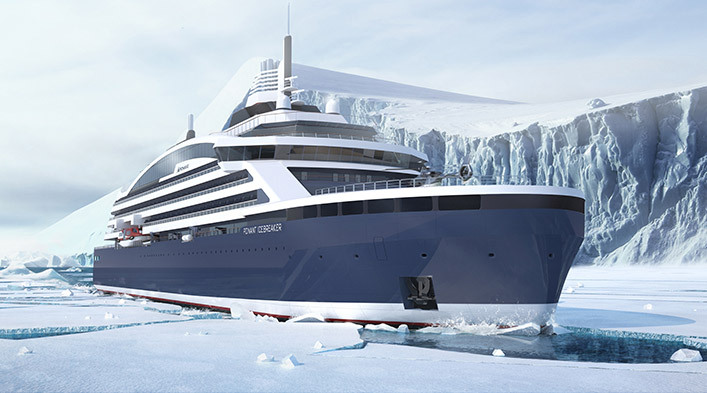 Over the past two years Aker Arctic has designed the first Polar Class (PC) 2 icebreaking cruise ship in close cooperation with Stirling Design International and the luxury expedition cruise company PONANT. The construction of the vessel will begin later this year at the Norwegian shipyard VARD, which has previously built icebreaking vessels based on Aker Arctic designs. Do you have questions about this reference? Contact us.